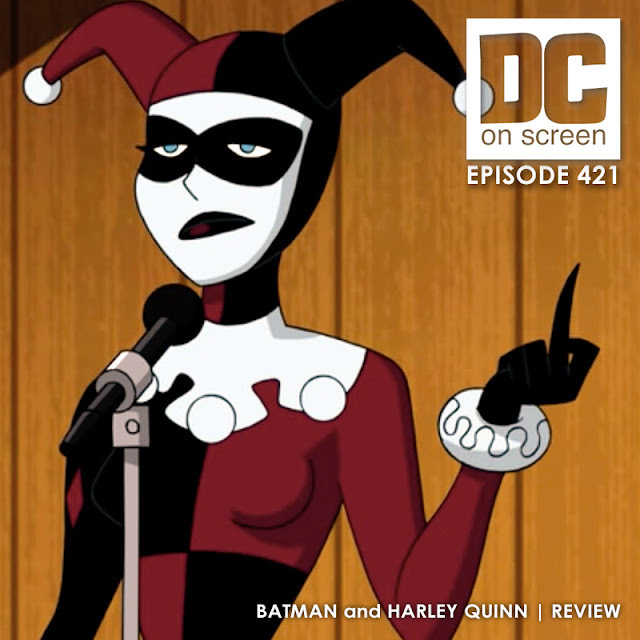 Dave and Jason grouse about the latest animated feature, 'Batman and Harley Quinn', a strange, repugnant cousin-by-marriage of the beloved 'Batman: The Animated Series' canon that somehow, through the guidance of Bruce Timm, sours even the savory tones of Kevin Conroy and Loren Lester--the people's Batman and Nightwing, respectively. Fart jokes, forced profanity, over-the-top zany comedy, fourth-wall shenanigans and what ultimately boils down to officially recognized slash fiction pad this thinly-plotted 75-minute adventure that manages to waste not only Batman, Nightwing, and Harley Quinn but also the Floronic Man, Poison Ivy and Swamp Thing. Is it good? No. But IS IT CANON?